New Delhi, Dec 19: Throwing away clothing that is no longer needed is a missed opportunity to turn the fabric into new products such as building materials, as well as address our unsustainable landfill problems, says an Indian-origin professor. According to Veena Sahajwalla from University of New South Wales(UNSW) in Sydney, the abundance of cheap clothes and short-lived fashion trends generate 10 million tonnes of landfill in the US alone each year, which decompose and release toxic chemicals and greenhouse gases. 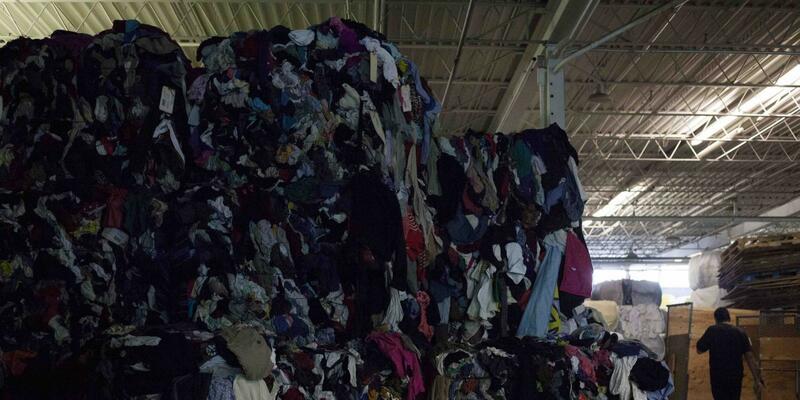 "It could be said that consumers and the fashion industry have a lot to answer for, given that clothing is now one of the biggest consumer waste streams, with 92 million tons estimated to be thrown out a year globally," said Sahajwalla, who is a Mumbai-born IIT Kanpur alumna. "The clothing and textiles industry is the second most polluting sector in the world, accounting for 10 per cent of the world's total carbon emissions. Not only is this bad for the environment, it also misses the opportunity to turn valuable clothing fibres into new products, Sahajwalla explained. After removing zippers, buttons, buckles, they passed the leftover mix of cotton, polyester, nylon and other fabrics through a fine-grained shredder. In a series of tests, the panels proved to be strong, water-resistant and minimally-flammable. Their properties could also be fine-tuned by mixing the fleece with other waste products such as sawdust filler from old couches. 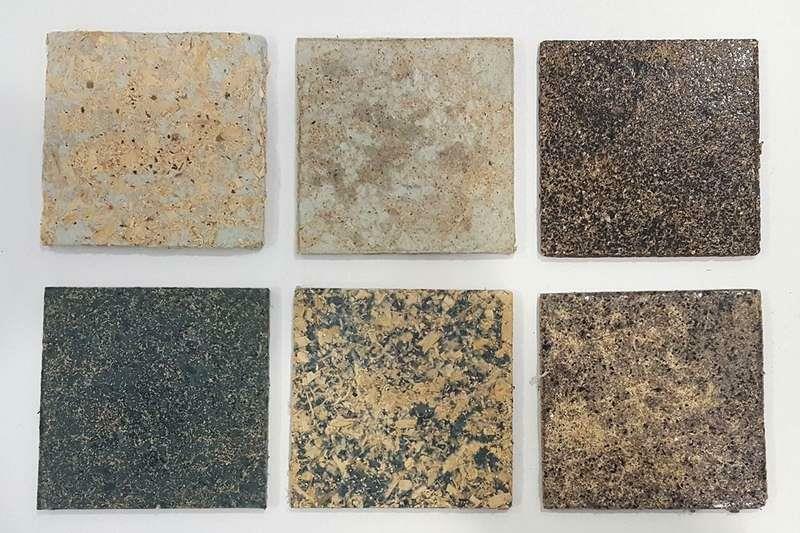 The panels had different textures and colours resembling wood, ceramic or stone "depending on their mix of components" making them suitable for use as floor tiles, wall panels or other interior finishes, Sahajwalla noted. Sahajwalla showcased these building products at a thematic session on emerging building technologies at the 10th TERI-GRIHA summit in New Delhi last week. 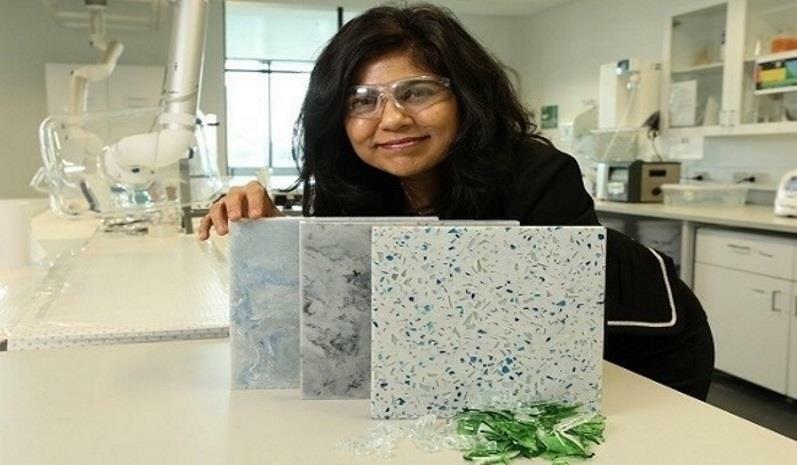 Sahajwalla and her team have been scientifically reforming common waste items using prototype technology developed for a laboratory-scale "green microfactory" to be launched in 2019.